The AALS Animal Law Section panel held last Saturday in San Francisco as part of the AALS Annual Meeting was quite good. Despite a labor action at the main conference hotel, which caused many sections (including ours) to be moved at the last minute, and despite the session taking place at O-dark thirty (8:30 a.m.) on a Saturday, the session was well-attended by interested folk, many of whom were new to animal law. The panel was moderated by Verne Smith and speakers included our hero (speaking about climate change and CAFOs), Rebecca Bratspies speaking on issues relating to transgenic animals and agriculture, Thomas Kelch, discussing laws related to animals and agriculture in the EU and China, and Bruce Wagman offering an optimistic (!) 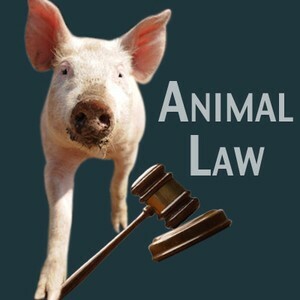 assessment of recent developments in animal law litigation. For me, the thing that most stood out from the panel and the discussion following was the range and diversity of expertise among those involved in animal law, both at the academic and practice level. Maybe it’s just because it’s a snow day here in the east, but doggone it, I’m feeling a little hopeful today. I’m a vet student of china .I want to know some animal laws of America . Could you tell me how to find it ?